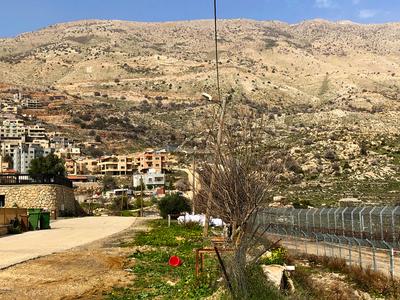 Despite the pushback stemming from President Trump's decision to recognize Israel's sovereignty over the Golan Heights, his announcement advances U.S. interests without physically changing much on the ground in the Middle East. First, it recognizes reality and punctures the kind of mythology that, for decades, has stalled any attempts at a peace agreement with Israel. Perhaps more importantly, it fundamentally alters the land-for-peace formula long thought to be a panacea for regional peacemaking. The decision, therefore, could reverberate to America's benefit as the Trump administration prepares to release its long-awaited Palestinian-Israeli peace parameters. It was during the 1967 war when Israel captured the Sinai from Egypt, the West Bank and Gaza from Jordan and Egypt, respectively, and two-thirds of the Golan territory from Syria. The strategic highlands represented less than 1 percent of Syrian land area, yet under their control it served as a forward-operating position. Israel annexed the territory in 1981, much to the international community's chagrin, but its strategic necessity in Israel's security architecture is all the clearer since the 2011 outbreak of the Syrian war. In the wake of the June 1967 war, the United Nations Security Council passed Resolution 242, which called for the "withdrawal of Israeli armed forces from territories occupied in the recent conflict" to "secure and recognized boundaries free from threats or acts of force." The resolution didn't provide a formula for the depth of an Arab peace offer, or the amount of territory Israel would return. Egyptian President Anwar Sadat introduced the concept of land-for-peace during his unprecedented 1977 speech before the Israeli Knesset, paving the path toward the Egyptian-Israeli peace agreement the following year. Since that time, Syria and the Palestinians separately have viewed the land-for-peace formula as sacrosanct, expecting Israel to give up all of the land it occupied in exchange for vague assurances of non-belligerency. On the Syrian-Israeli front, this lopsided understanding of the formula for peace played out with predictable results. When Israel began negotiations with Syria shortly after the 1991 Madrid Conference, the assumption was that a full withdrawal from the Golan Heights meant an Israeli withdrawal to the 1923 international border. However, throughout the 1990s, Syria's territorial demands expanded. Syrian President Hafez al-Assad's demands for a "full withdrawal" included the caveat that the pullout should be "to the June 4, 1967 line," and added the requirement of Syrian "access to the Sea of Galilee." One problem with this formulation was that the so-called "1967 line" is not actually a border; it reflects where Syrian and Israeli troops were positioned on the eve of the Six-Day War. It was also set substantially further back in Israeli territory. By demanding this as the new border, Syria was asking for Israel's full withdrawal plus 41 square miles. As for the depth of the peace offered, Assad's proposition was missing an equally important ingredient: strategic realignment. Sadat's earlier peace initiative was part of a comprehensive change in Egyptian policy, in which he sought to prompt sweeping reforms for his country. In a bold, calculated move, he closed the door on the Soviet Union and plunged his country into peacemaking — before making peace with Israel. Shortly before Barack Obama came into office, a cadre of U.S. statesmen began promoting the notion that Syria and Iran were merely allies of convenience and that Syria could be flipped from the Iranian orbit. As Joe Biden told the Jerusalem Post in August 2007, even though Syria was "Iran's closest ally," the United States "should work to break up its marriage of convenience with Iran." Biden wasn't alone. In June 2008, then-Sen. John Kerry (D-Mass.) partnered with then-Sen. Chuck Hagel (R-Neb.) to pen an article in The Wall Street Journal, "It's Time to Talk to Syria," in which they described "another chance for a diplomatic breakthrough that could redefine the strategic landscape in the Middle East," including coaxing "Syria away from its marriage of convenience with Iran." The idea that Tehran and Damascus were merely allies of convenience was absurd enough at the time. Once in office and in pursuit of a nuclear deal with Iran, Obama decided to "respect" Tehran's "equities" in Syria, which demonstrated his understanding that Bashar al-Assad's rule in Syria was a core Iranian interest, not a summer fling. Given that Assad today owes his survival to Tehran and Moscow, and Iran is embarked on a Syrian entrenchment enterprise that stretches well beyond the military realm, the idea that the dictator in Damascus suddenly will change his stripes and strategically realign is even more far-fetched than it was 10 years ago. Put simply, the Golan Heights is more vital today to Israel's security than at any other point since 1967. Beholden to Tehran and Moscow, Assad has nothing to offer Israel in exchange for the Golan. This reality points back to the Trump administration's coming Palestinian-Israeli peace parameters. Palestinians long have held maximal territory demands, and realignment is impossible since Hamas controls Gaza. Palestinians have been under the impression that time was on their side, so why would they make concessions in a negotiation with Israel, especially if there are no consequences for refusing to engage? President Trump has fundamentally altered the peace equation with Israel. His decision on the Golan simultaneously punctures more Middle East mythology, punishes Assad, creates obstacles for Iran, and rewards America's ally, Israel. And he accomplished it all by simply recognizing reality for what it is, not for what Team Obama wished it would be.